When considering options for landscape work there are three primary options: 1) Do it yourself, 2) hire someone to do the work, 3) hire a licensed professional to do the work right. For most folks, doing the work yourself is out of the question with jobs and family commitments, not to mention the knowledge required and rules associated with the landscape. For example, many landscapes in years past used the beautiful Bradford Pear tree. She shape was visually appealing and the tree complimented almost any landscape. However, the crotch of the limbs (where the limb meets the trunk) is generally narrow and with age and growth, the limbs are susceptible to breakage with slight wind which can also damage your car, home or others. Secondly this tree has a cross pollination problem with other pear trees. Once thought of as a sterile tree, they in fact pollinate but not with each other, instead with other pears creating an offspring that chokes out other indigenous plants and interferes with pear production. So, your simple sweet tree could actually impact your neighbor’s fruit production … that is, if the branch falling from it doesn’t hit you in the head first. That brings us to another point, inclusion of indigenous our native plants. A licensed landscaper knows what grows in your area and what naturally does not. English Ivy is a great example of the introduction of non-native plants that look great and thrive but that literally choke out and kill other plants. Finally, there’s the issue of plant spacing. Gone are the days of boxwoods planted in a row with general 3 foot spacing for the plants. Dynamic landscapes blend plants with height, color, contrast all while knowing that the rosebay rhododendron will need so many feet for an average 20-year growth compared to the closer spacing of the bleeding heart columbine in the forefront of the design. Now that we have a definite argument for someone else to do the work, let’s see more of why you should use a licensed landscaper. Time and knowledge are valid points, but there are other issues to consider. 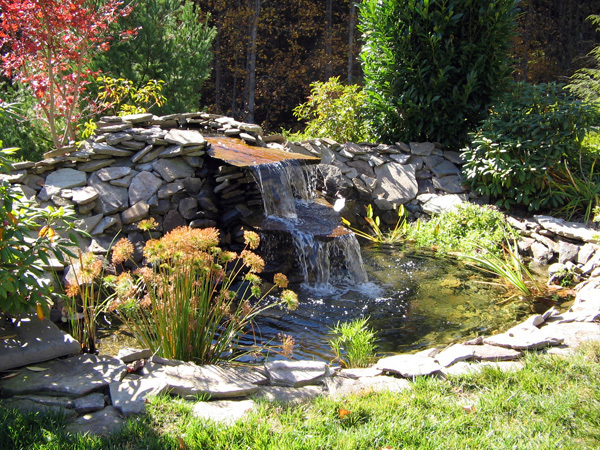 A licensed landscaper has more than knowledge and experience … they have training. 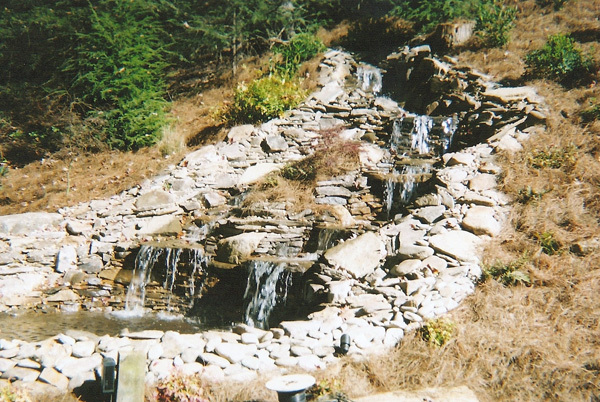 WNC Landscaping not only has over 40 years of business experience but also over 80 years combined experience in landscaping; as well as two bachelor’s degrees in landscape design and certification in irrigation, pesticides and installation. Our owner, Charles Boyd maintains a 10 acre+ nursery of indigenous plants grown on our farm. He has a Bachelor’s and Master’s degree in Agriculture and Landscape Design from North Carolina State University. He taught agriculture and horticulture for over 30 years in the high school and community college settings and serves as an elected member of his local Haywood Soil & Water Conservation Board. His son, Brian Boyd, also hold a degree in Horticulture from North Carolina State University as well as has training in pond and waterfall installation and is one of the only certified irrigation specialist in North Carolina. These guys know their stuff! They have background, not only in plants and soils, but in slope and grade and how your landscape will drain with rain and how your plants will perform in drought. Speaking of drainage, our team also knows and understands how water lines run and work for municipal water systems and on-sight well-users and will not have a mishap with your lines. An unlicensed worker does not have the background, knowledge or bonding to help with large problems that may occur … many times at their own hands. Lastly, and most importantly, you get your money’s worth and then some. 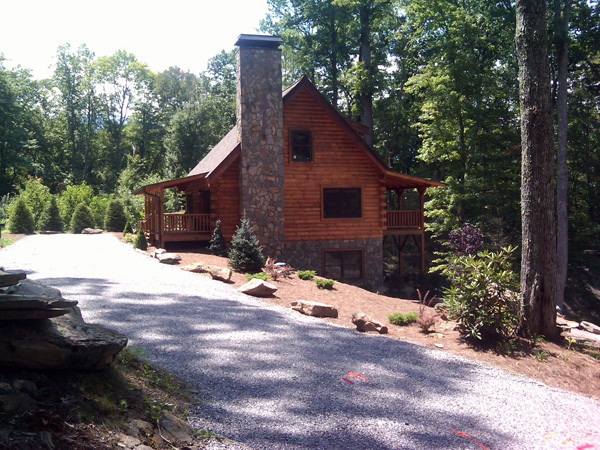 The value added to your home by a licensed, professional landscape designer will far outweigh the costs. Plus there’s the added level of protection to your property. It’s simple, really … if you want a professional looking job, you get a professional to do the work. Does a Landscaper Need a License? You have probably heard that fall is the best time of year for planting. 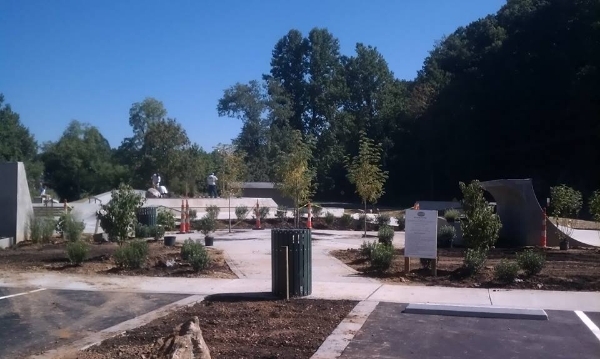 This fact has many reasons to support it and hopefully will encourage you to contact WNC Landscaping in the greater Asheville area for some new additions, cleanups or possibly even a new look to your landscape! Why is fall so great for planting? • Plants continue to grow in the fall — Soil temperature and moistures levels are usually much more stable and compatible for root growth also resulting in overall plant health. This is especially important that first critical year of the plants life after planting. Although there is less overall of the plant itself from what is experienced in the spring and summer, the foundation is set for sustainability and maximum growth in the upcoming growing season. • Easier for the Plant – Just like slowly introducing fish to a new environment, fall planting lessens transplant shock and allows the plant to build a healthy root system. With roots already established in the fall, plants are bigger in the spring and often can withstand dryer conditions during the following summer. There are also fewer pest and disease problems in the fall to deal with. • Remember to water – The temperatures may be cooler and more comfortable, but newly planted shrubs, trees and plants need good watering, especially at the time of planting for the expanding root system. Considering an irrigation system during planting may save you time and money with your new plants until freezing weather when winterizing should take place for the system, but the benefit is having it ready and available first thing in the spring, especially if drought occurs. • Overall landscape design — Odds are there were things you like about your landscape and things you would really like to change. Keep all things in mind and note what you’d like to plan towards for your exterior in the future. It may be you can implement some things now and some things later. 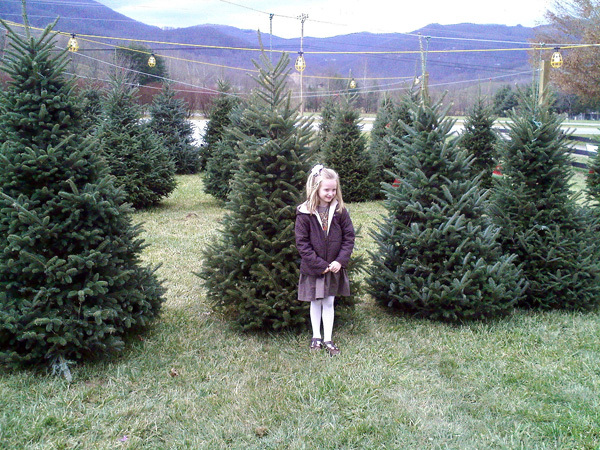 Keep WNC Landscaping in mind during the fall and holiday season as well when we offer our North Carolina Certified Fraser Fir Christmas trees in a “ball ‘n burlap” option. That means that you can purchase a dug, rather than cut tree from us to use in your home for the holidays and then replant outside as part of your landscape. 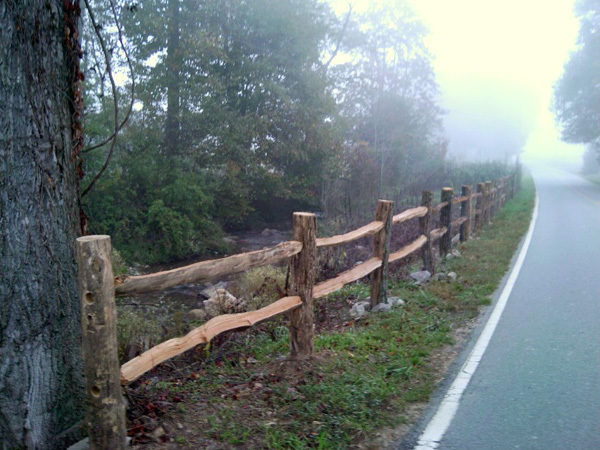 We are one of only a few in western North Carolina to offer dug trees, as well as in our area of Waynesville and Maggie Valley, NC. • Growing time – Landscape and gardening professionals know that several weeks are needed for root establishment before hard winter temperatures freeze the ground, so it’s important to call today for advice, insight and estimation for your landscape now to maximize your plant’s life and your dollar. • Keeping it Up — It is also a good time to conduct the pruning of plants, trees and shrubs you currently have and want to keep and maintain well. 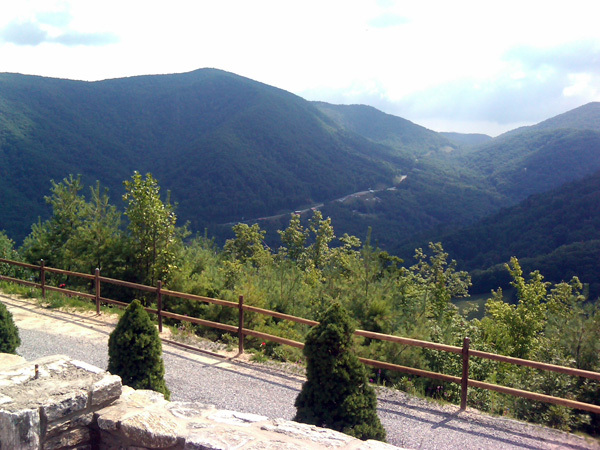 WNC Landscaping can help with reshaping and maintaining your landscape as well. Thorough watering and new mulching after pruning and planting is very important. Avoiding fertilization of new plants at this time is also recommended. 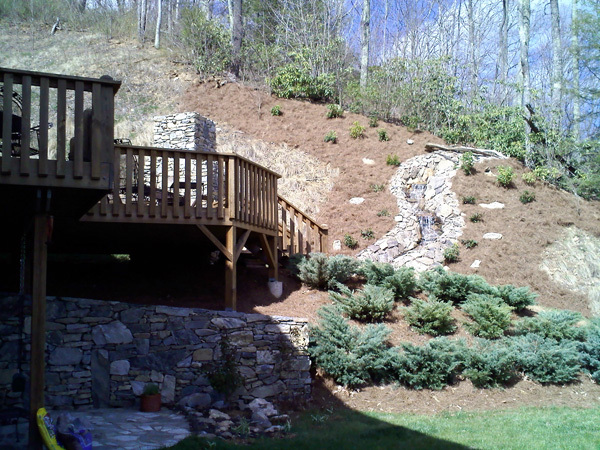 However, there are and should be different recommendations for your lawn which WNC Landscaping can help with! • Fall Beauty – Typically one of the most beautiful times of the year, especially in North Carolina is the fall. It’s a time to enjoy the outside beauty of our area and the areas where we work and live. So enhancing or changing your landscape when you can most enjoy it makes sense! Erv Evans, Extension Associate with North Carolina State University, College of Agriculture and Life Sciences in the Department of Horticulture wrote a good general article entitled basically, “Planting Trees and Shrubs.” The article gives good insight and explanation to the many facets of planting and lends the reader to appreciate the benefits of licensed, professional landscaping for quality and to insure the duration of landscape additions. 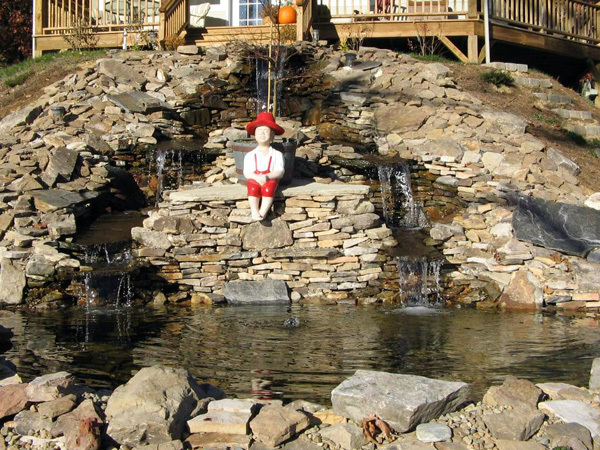 Call WNC Landscaping in Waynesville, NC today and let us help you enjoy fall!